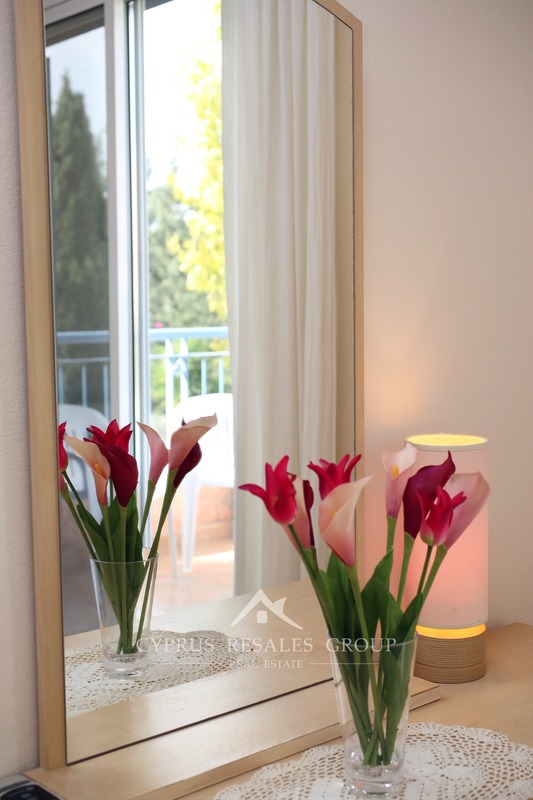 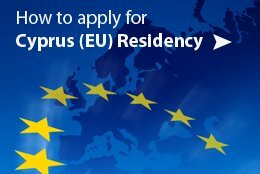 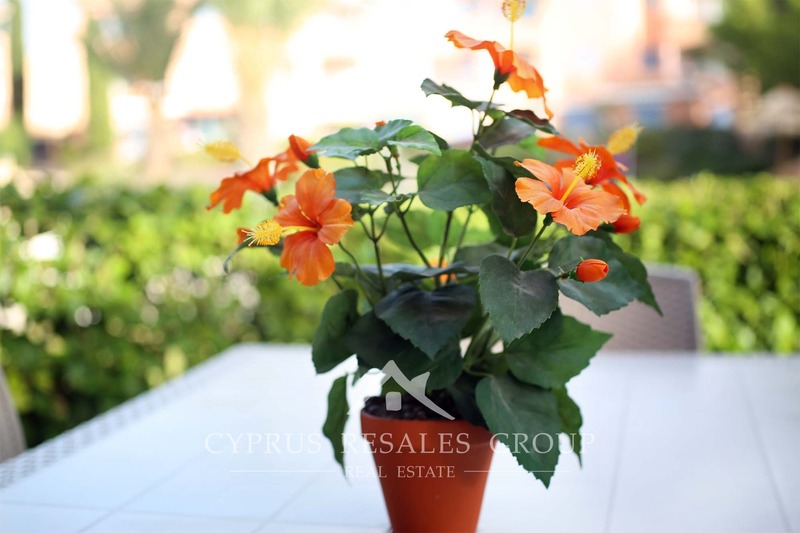 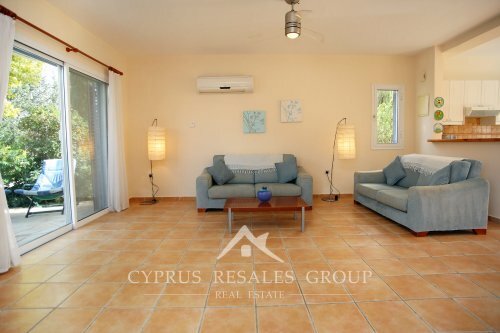 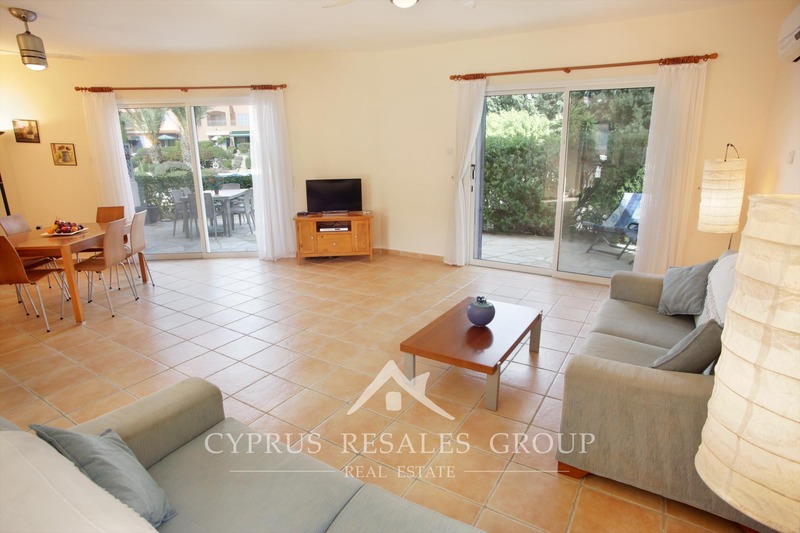 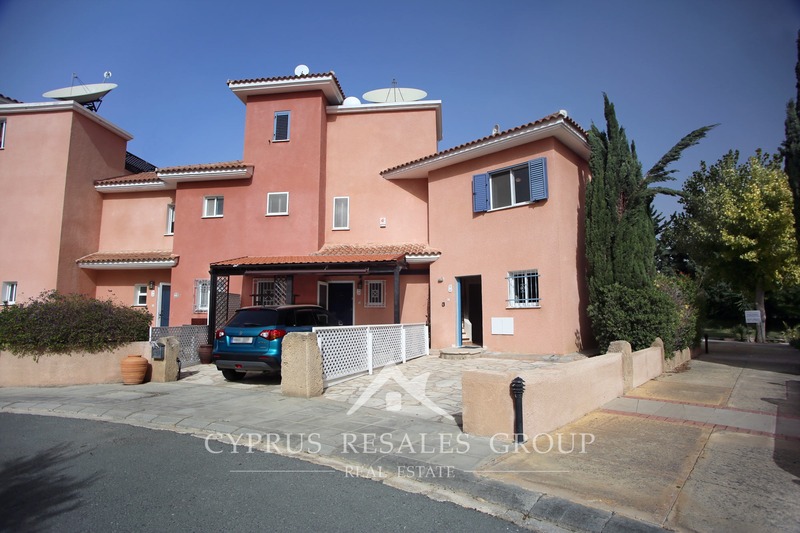 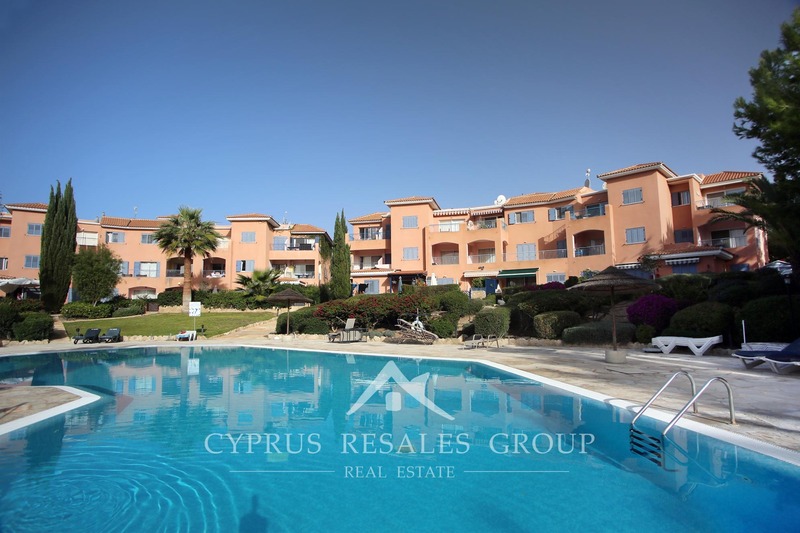 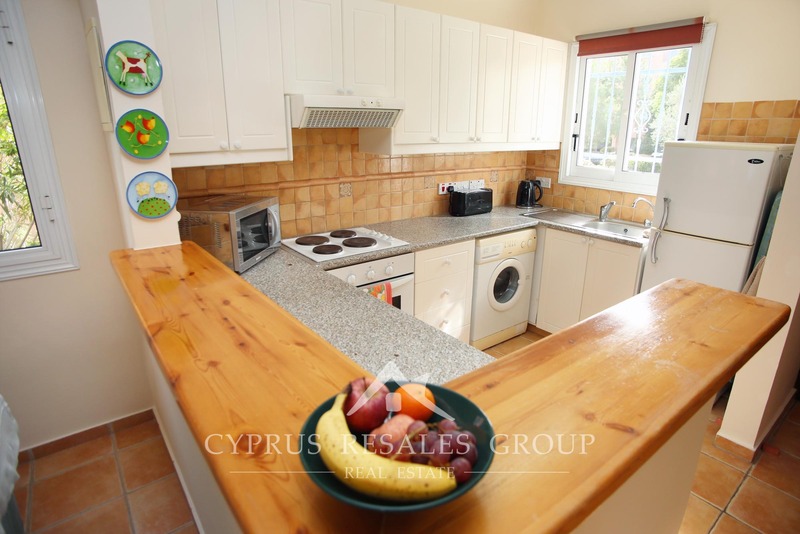 Property for sale in Leptos Limnaria Villas next to Limnaria Gardens | 3 bedroom end townhouse for sale in Limnaria Villas, Paphos, Cyprus. 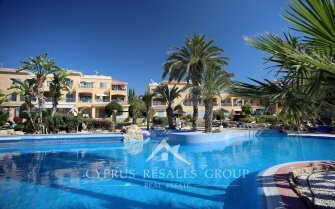 Welcome to the tranquil world that is Leptos Limnaria Villas – the flagship development just off Poseidonos Avenue in the very centre of Kato Paphos. 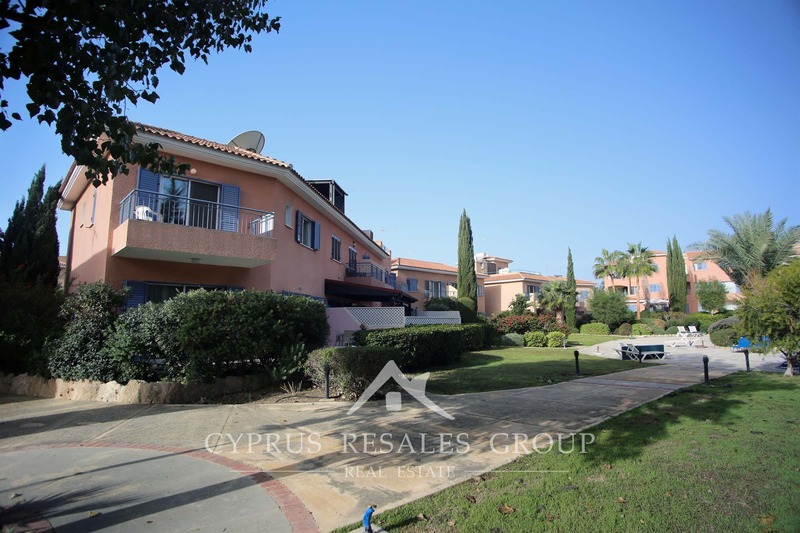 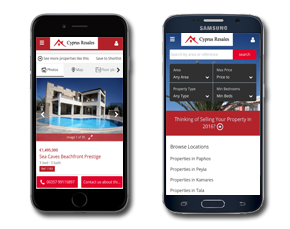 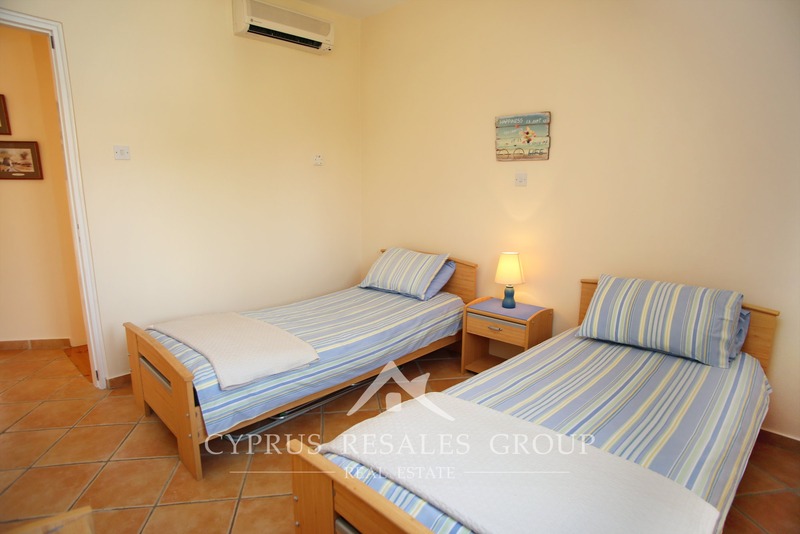 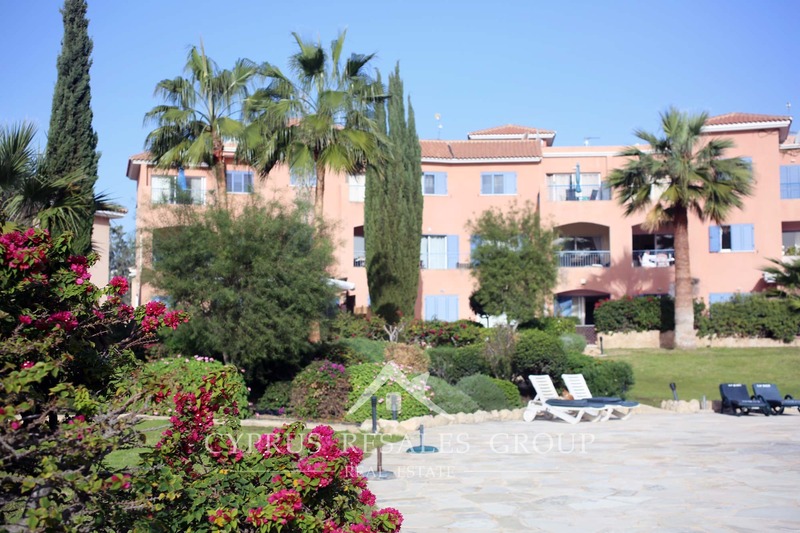 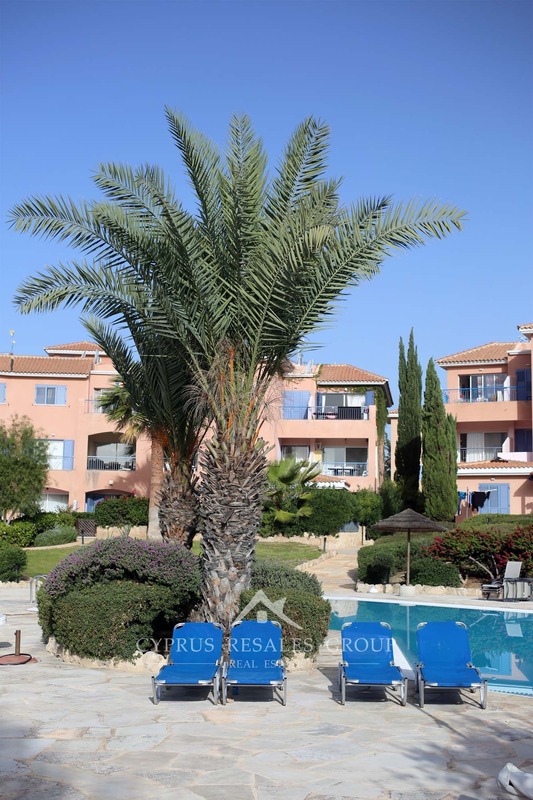 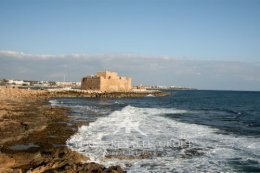 This popular upmarket location is within easy walking distance to all the main amenities, including Paphos harbour and the Kings Avenue Mall. 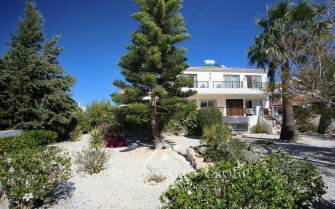 With the highly desired pool and garden views, this townhouse has a choice position on the project. 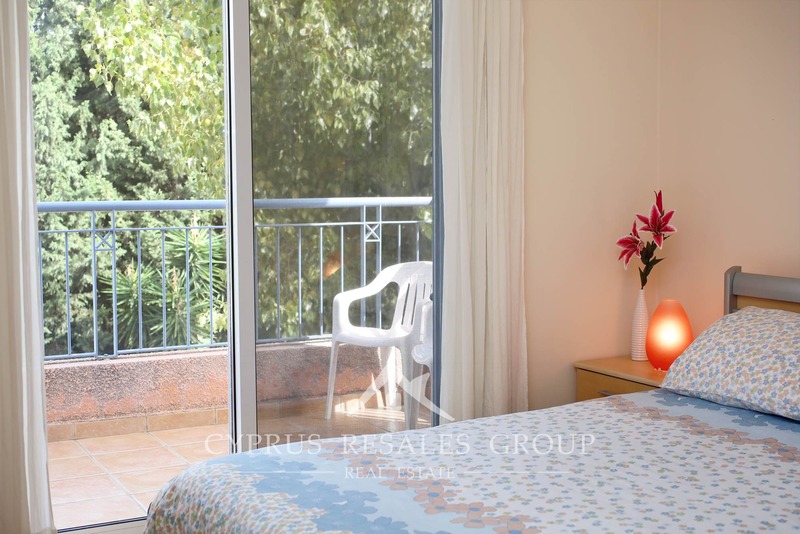 At the front of the property we find a spacious private parking space, while at the courtyard side there is a large paved private terrace framed with lush hedges. 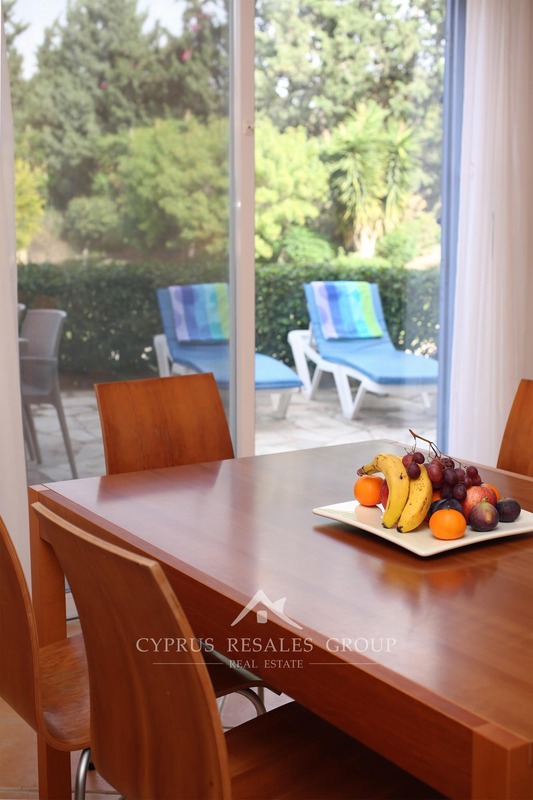 This beautiful recreation area enjoys a fantastic aspect across the manicured Mediterranean gardens and feature swimming pool. Inside, the property flows very well and benefits a fan-shaped layout. 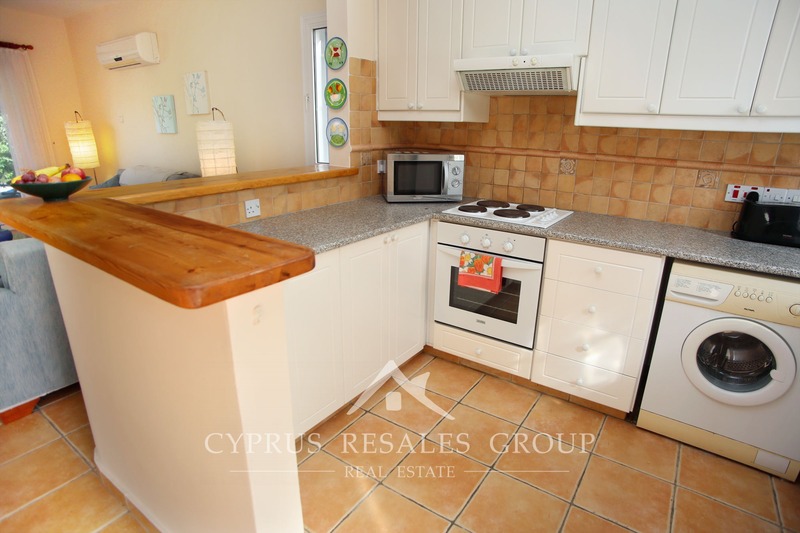 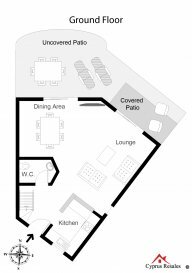 The ground level starts with a tidy hall and a large kitchen with a breakfast bar. 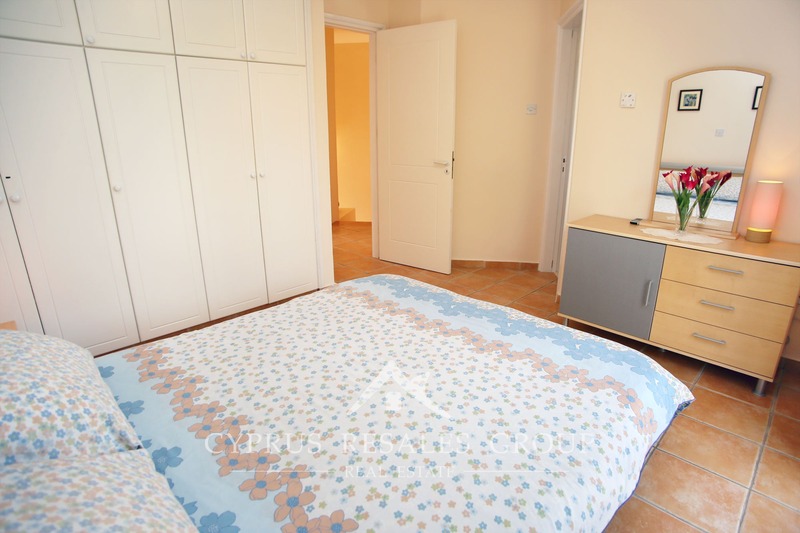 Guest WC is also located in this area. 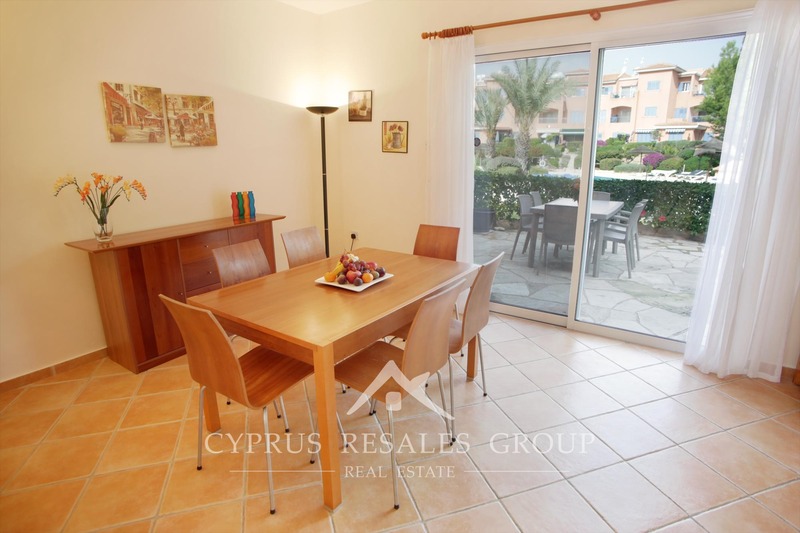 Further inside to enter a well-lit lounge and dining area with beautiful garden aspect. 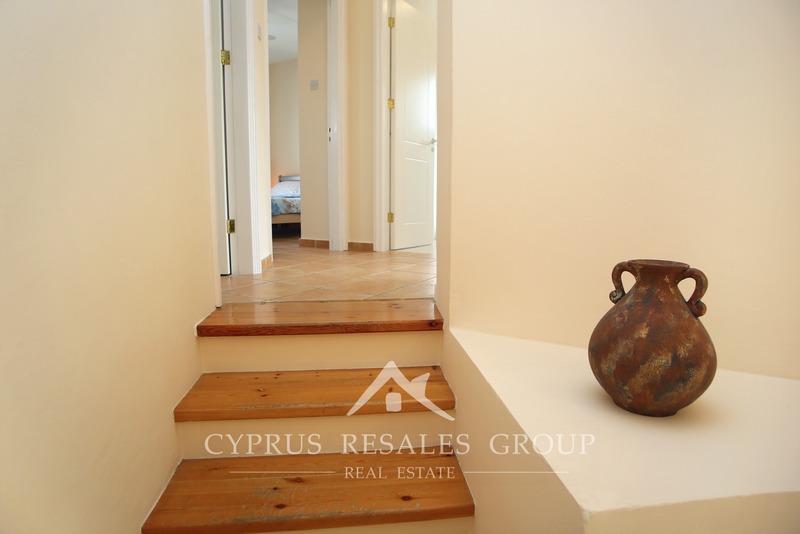 Moving up the wood clad steps to the first floor we find 3 full size double bedrooms, all with built-in storage. 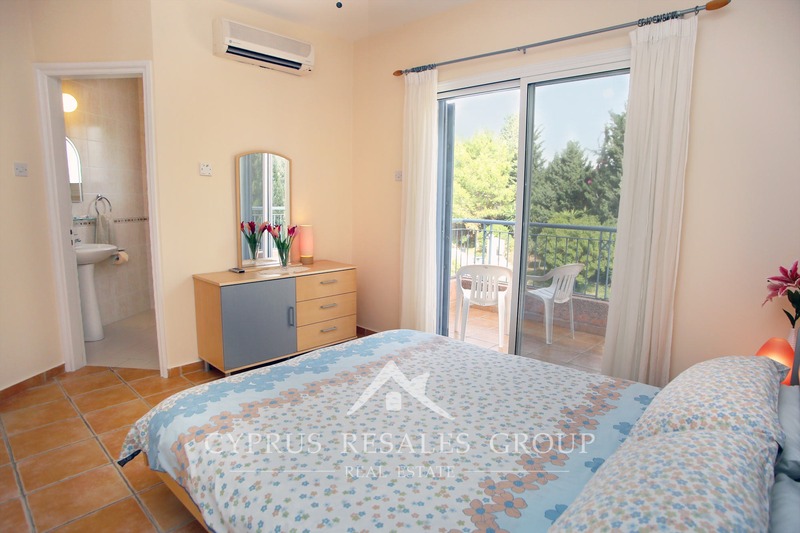 The generously proportioned master bedroom comes complete with an en-suite shower-room and its own private veranda looking across the gardens. 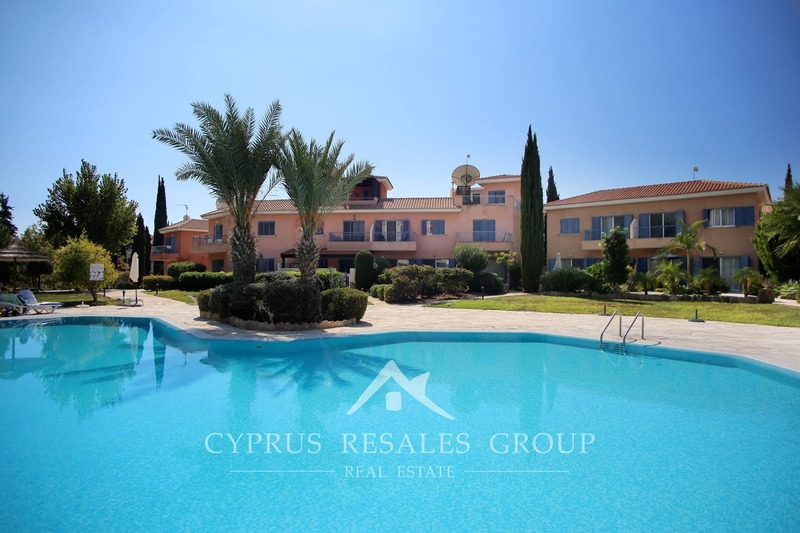 A premier address in the prestigious Limnaria Villas can be yours today with FULL TITLE DEEDS, ready to be transferred into the name of the new savvy owner.